"Assisting Educators in the development and delivery of quality programs and supervisory practices to maximize success for all." 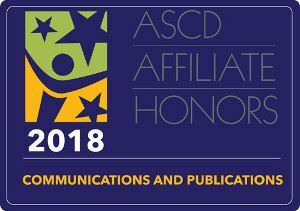 "Providing educators the tools to develop and deliver quality instructional programs and leadership practices to maximize success for all learners." Supports the development of teachers and leaders, with an emphasis on those new to the profession. To improve educational programs and supervisory practices at all levels and in all curricular fields throughout New York State. To help schools achieve balanced programs so that equal and quality educational opportunities are assured for all students. To identify and disseminate successful practices in instruction, curriculum development and supervision. To have a strong voice in the educational affairs of the state by working closely with the State Education Department and other educational groups across the state and nation. Your Executive Board of Directors represents urban, suburban, and rural districts. The members hail from the tip of Long Island to Western New York. We have teachers, administrators, college professors, and NYSED representatives. 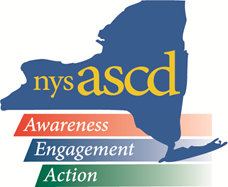 IMPACT - New York State ASCD's professional journal provides in depth background on state and local issues facing New York Educators. ASCDevelopments - the newsletter, furnishes timely announcements on state and local events related to curriculum and instruction. Regional Institutes -two or three day institutes that bring together national experts and state recognized presenters with practitioners to share ideas and promising educational practices. Regional Workshops - bring together recognized presenters with practitioners to share ideas and promising educational practices. Diverse Professional Network - enables members to share state-of-the-art resources, face challenges together, and explore new ideas.